When Sharon asked me to do this cake for her daughter, Kirsty, she said she wanted a special Louis Vuitton cake. Kirsty is a Louis Vuitton fan and had already had several different LV designer birthday cakes for previous celebrations including a handbag and LV logo. 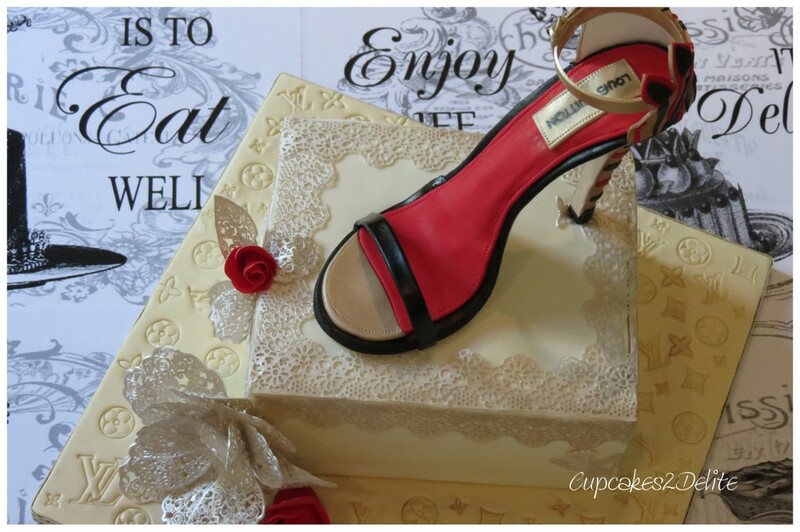 I thought of adding a Louis Vuitton Shoe to a shoe box cake which was a challenge as I have never made a sugar paste shoe. 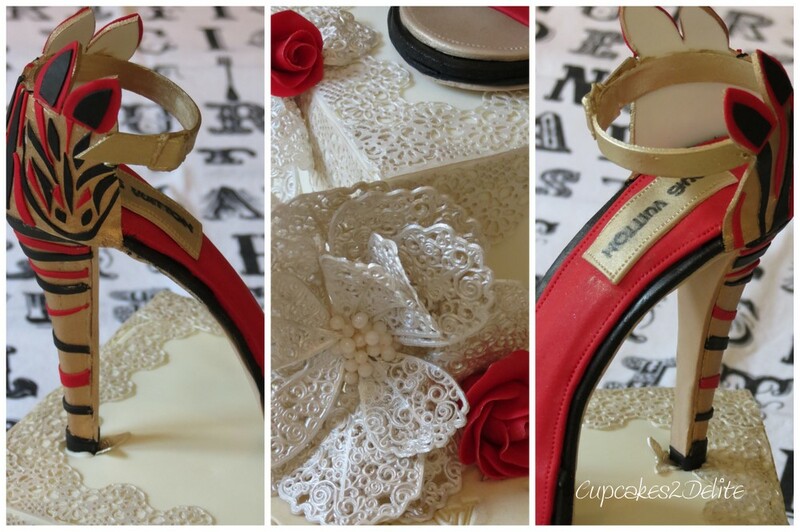 As this cake had to be perfect at short notice there was no time to practise and it was one of my sugar art teachers, Pat of Cakes By Pat who came to my rescue and crafted this most exquisite Louis Vuitton shoe for Kirsty’s cake. Not only did the shoe have the most beautiful gold, red and black detail but it also had a Louis Vuitton label and stitching and buckle detail. 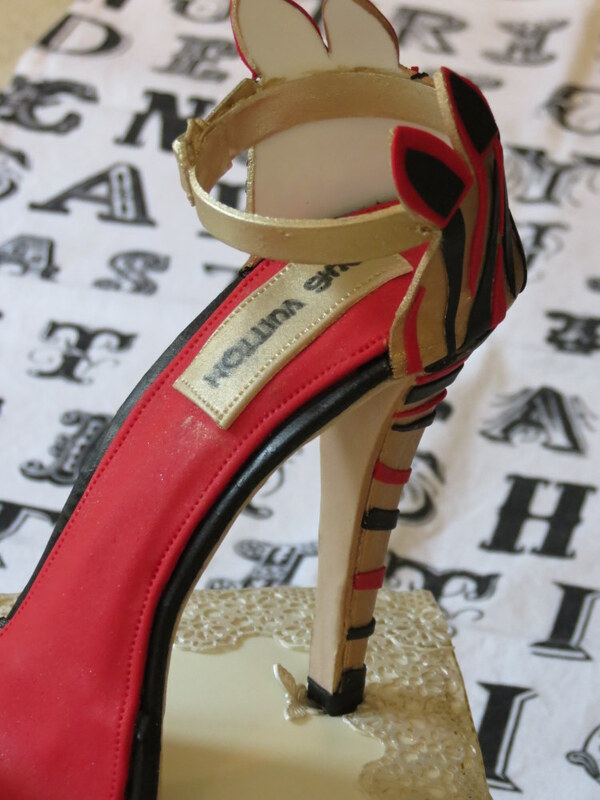 Pat masterfully included all the intricate zebra pattern on the heel of the shoe and it was so pretty and dainty it looked like you could just go dancing in this heeled-beauty. 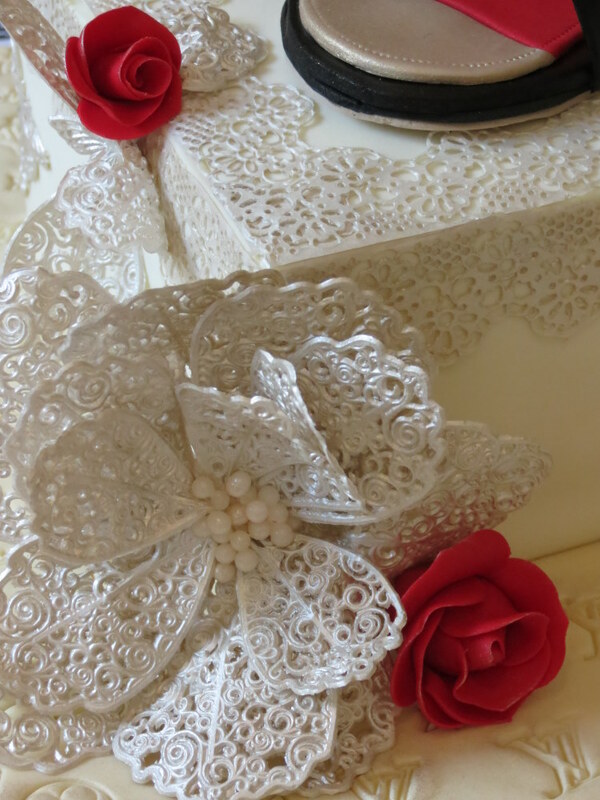 I completed the chocolate cake with a layer of gorgeous ivory fondant edged with edible lace. I added 2 small red roses to tie in the red of the shoe and made a Crystal Lace Flower using the Crystal Lace 3 D Peony mat which I centered with tiny ivory pearls. The board was also fondant covered and then emobssed with Louis Vuitton embossing logos. 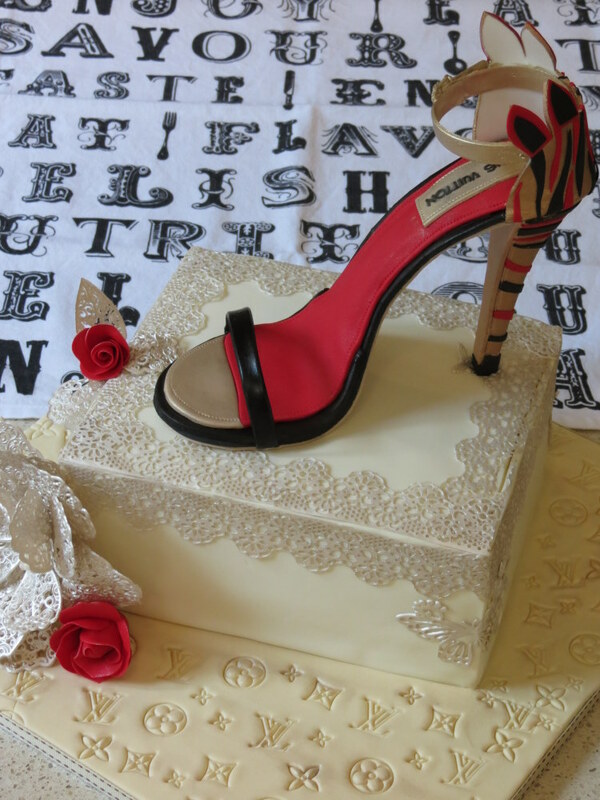 Kirsty was delighted with her birthday cake but which young girl wouldn’t be with such an exquisitely hand crafted sugar shoe! ← Jasmine Figurine Class with Vicci!